This car is a Model R, the first car to bear the name Oldsmobile and the first of 3 models to be known as a Curved Dash Oldsmobile. This car's frame is ash which is very flexible. The engine is transverse mounted and air cooled. The Pope Waverly was originally introduced as the Waverley in 1898. It was the only electric car produced by Colonel Albert A. Pope. This Stanley Model F was restored in the 1970s and driven coast to coast. The Cadillac Open Roadster is the first automobile with fully interchangeable parts for which it won the Dewar Trophy in 1908. 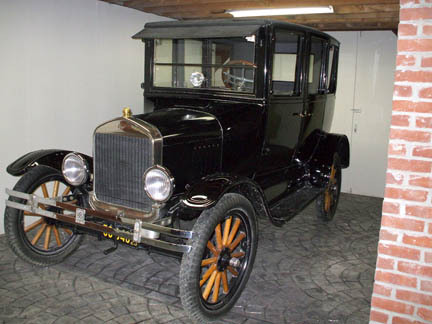 The Model T was introduced in 1908 with left-hand drive. The car was capable of going 45 mph and needed only a gallon of gasoline every 25 miles. This car was built by the owner of an original Mercer Speedster who wanted a less valuable version of his car for shows and parades. 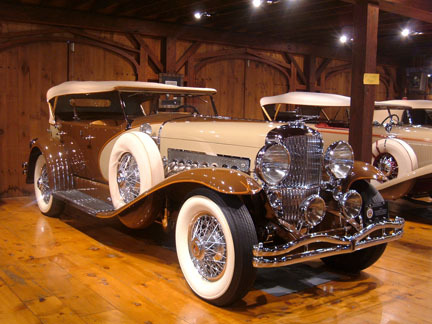 The Bearcat is the most memorable model built by Stutz. The name lasted from 1914 through 1934. 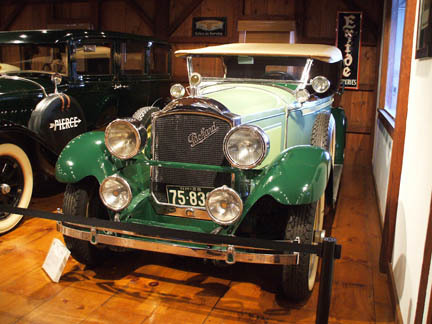 David Dunbar Buick and Walter Marr created the revolutionary Buick overhead-valve engine in 1901. This Series H has scored 100-points in judging after restoration and is a Senior National First Prize Winner. 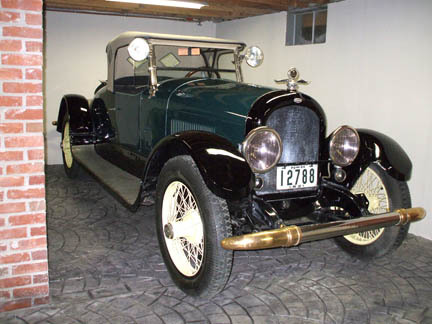 In 1916 Oldsmobile introduced its first production V-8 cylinder engine to the American market with the Model 44. 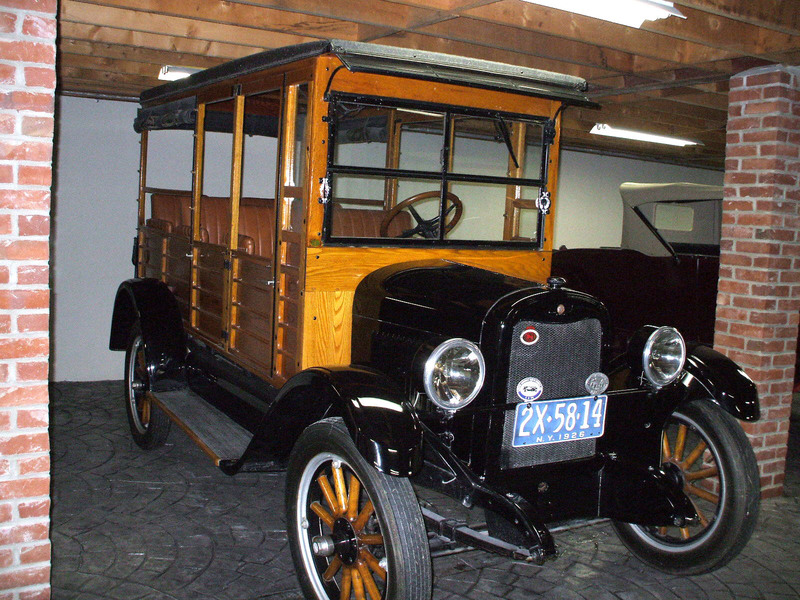 The first automobile to bear the name Willys-Knight was produced in 1914. 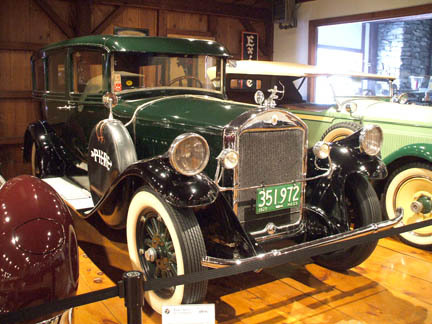 A Marmon Model 34 was driven across the country in less than 6 days. 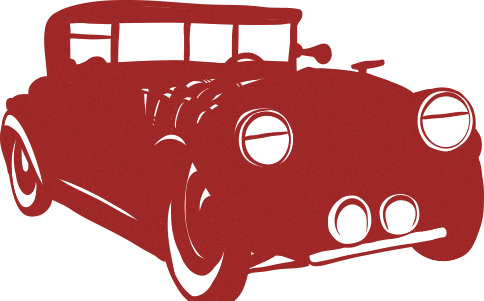 By 1925, one half of all the cars in the world were Model T's. This Depot Hack has its original wood body that has been restored. 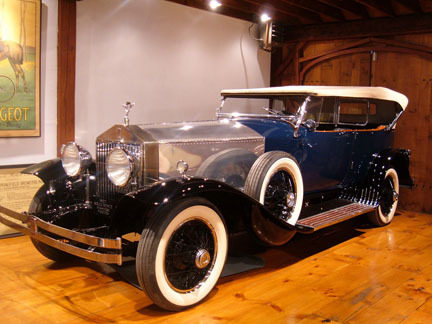 The first Rolls Royce to come to the United States since the beginning of WWI arrived on October 4th 1919. 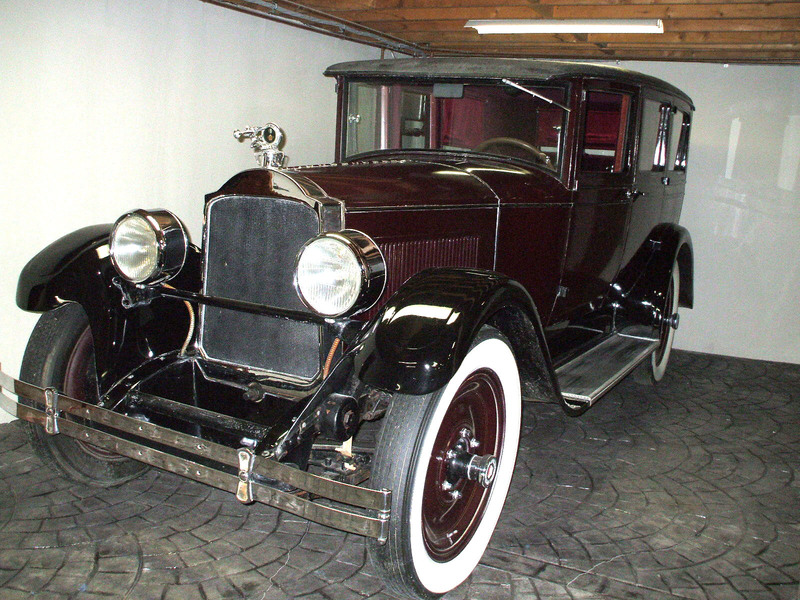 The Twin Six arrived in 1916 as the first 12 cylinder (V-12) car in production anywhere in the world. 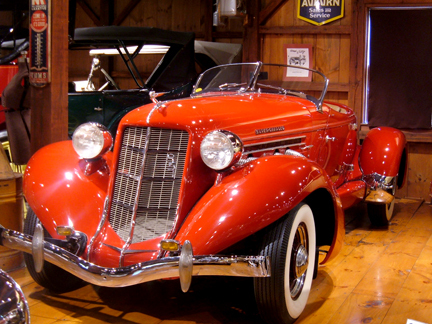 The Model 72 Deluxe Roadster was a sporty model aimed to keep consistent with Chrysler’s popular-at-the-time advertising campaign depicting younger people enjoying youthful activities. Some would argue these early Chrysler ad campaigns truly set the tone for future, modern advertising. 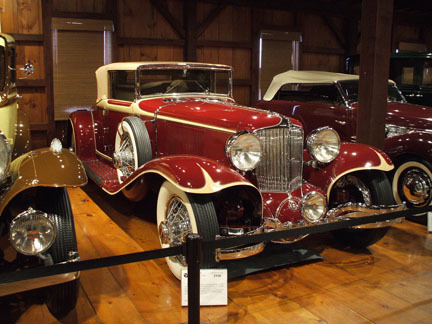 This 1928 Packard Phaeton was the first antique car purchased for this collection. This car is in original condition. You can see the "C" gas ration sticker from the WWII gas shortage on the windshield. 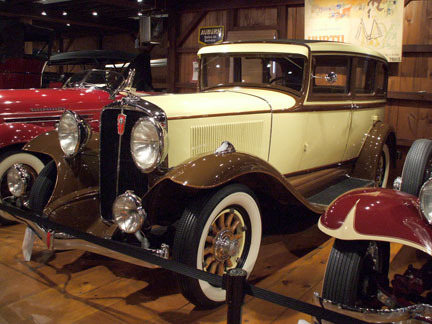 The 1929 Pontiac Cabriolet has a top which folds down with roll down windows and a rumble seat. 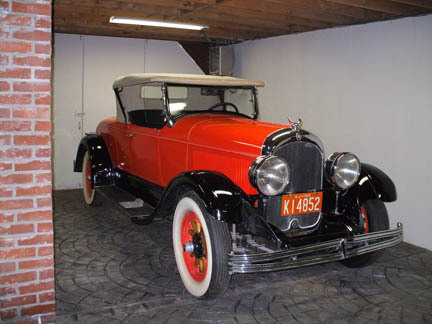 The L29 was one of two front wheel drive cars introduced in 1929, the other was a Ruxton. An electric car designed by Thomas Edison. 20 were built in 1902 and production continued through 1912. 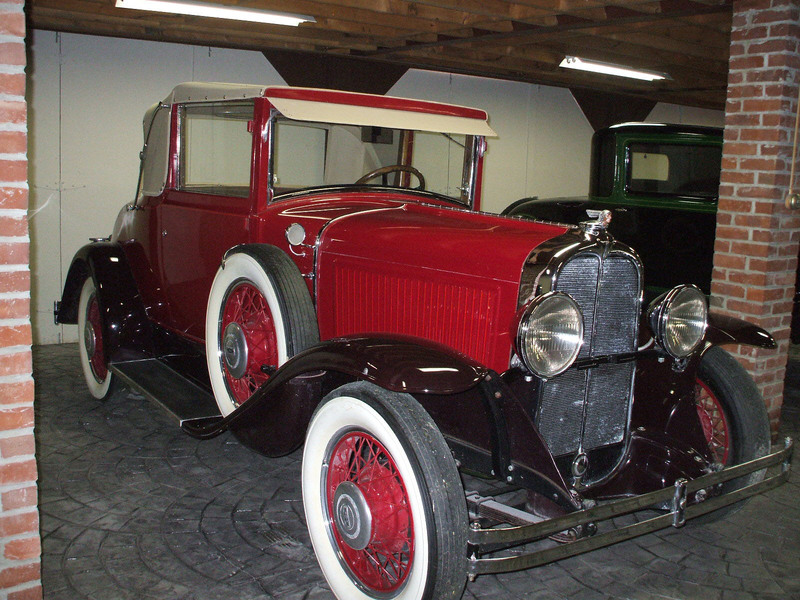 This car is the prototype supercharged Model SJ used by Fred Duesenberg as his personal test car. 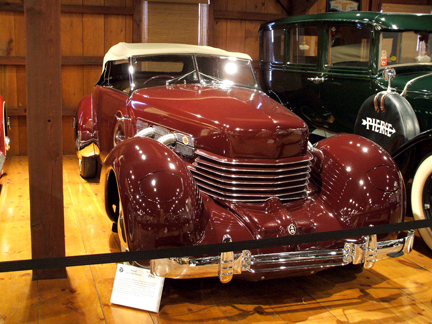 This convertible limousine sedan has a custom body by Dietrich and is 1 of 27 1935 Model 1208 convertible limousine's originally built. In 1928, an Auburn was driven 108.64 mph for the measured mile at Daytona and set a new record at Pikes Peak. 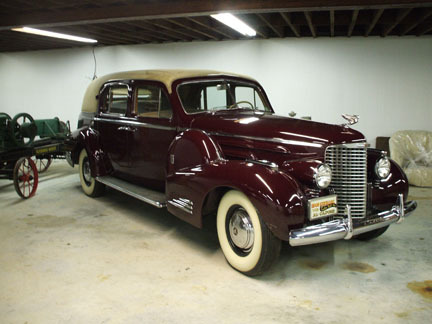 This was the first car to have retractable head lights and a semi-automatic shift. 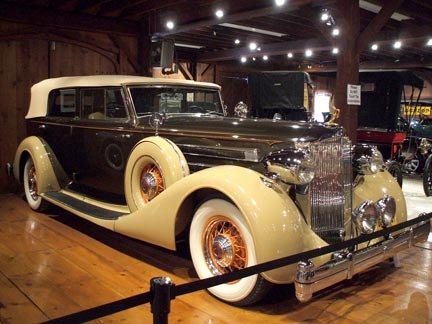 In January 1930 the V-16 Cadillac made its debut followed in September by the V-12.